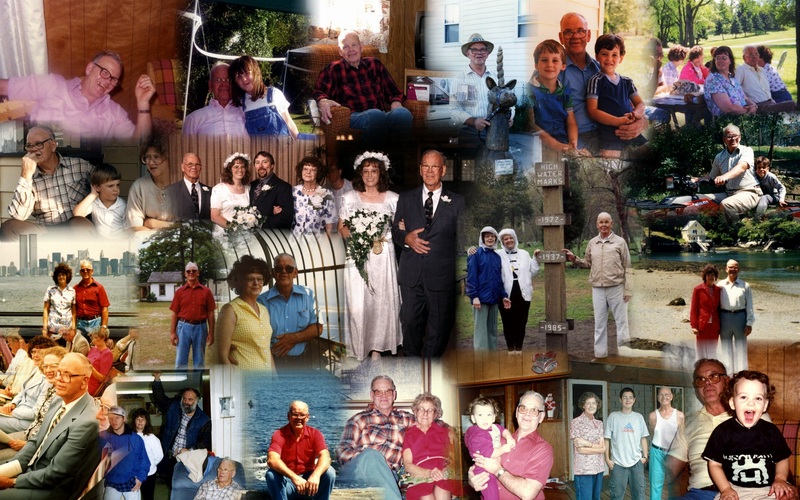 Dad passed away 9 years ago today, at the age of 74. Dad was less than a month away from his 75th birthday. This morning I pored through photographs from years past. While looking through the photographs, I recaptured memories of days gone by. I remembered Dad with smiles not tears. This photograph was taken in June 2003 at a family reunion. As Bob and I were getting ready to leave, I asked him to take a picture of my family. I am so thankful that I have this photograph. 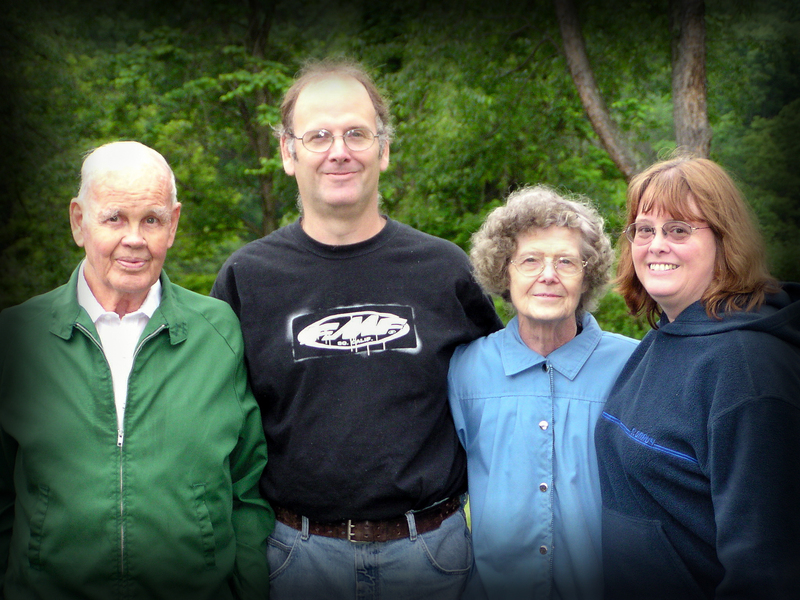 This is the last photograph I have of Dad, Mom, my brother, Jim, and I. Those are photographs to treasure, Linda. I love how you created the collage. Love seeing your photos! I nominated your blog for a Liebster Award. Read my post: http://sundaydinnerfarm.wordpress.com/2013/02/14/yay-my-first-blog-award/ for the details if you want to accept!